Group Wants to Make McLean County a "Welcoming City"
BLOOMINGTON - The Trump Administration on Monday threatened to withhold federal dollars from sanctuary cities. This comes as a group in McLean County advances its version of a sanctuary city ordinance. Illiniois People’s Action Spokesperson Clarissa Kastner told us, "Immigrants feel they may not be able to stay or being threatened with deportations and it is causing insecurity in the community." Kastner is pushing a local ordinance she says would foster greater communication between police and the twin cities' immigrant population. Kastner explains, "Local police will just welcome citizens, welcome their participation in the local community. Local police can't decide their federal immigration status." Sanctuary cities have policies in place to limit cooperation with immigration laws to protect illegal immigrants. Illinois People's Action isn't proposing sanctuary status for Bloomington, but something similar. Kastner again, "This is what they are already doing. The mayors say this is what we are already doing. Why would we put it into place? For us, the fear is what is going to be coming down from the federal mandate." With its “Welcoming Cities Ordinance,” IPA wants to calm the anxiety felt by McLean County’s foreign born population. Its overriding goal is to convince elected leaders people are more important than money. Kastner adds, "Not just a proclamation, not just 'we would like to welcome people and I'm a welcoming person, but we want to put it into policy here and hopefully be able to move outside of Bloomington-Normal." 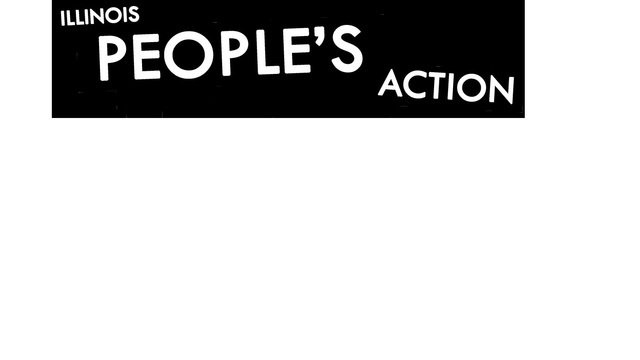 Illinois Peoples Action is negotiating with the City of Bloomington on the language of its ordinance, hoping it will pass in the next few months. The group will then appeal to Normal's Town Council.